After getting lost, making a few wrong turns, I learned to appreciate Australia’s many roundabouts. Never thought I’d ever say that. Because I’m older, I’ve never learned to completely trust electronic devices. For that reason, there were many arguments over GPS directions–which seemed incorrect to me. Several times I was right. The most glaring example, early morning Thursday, on the way back to Melbourne airport. GPS threw in an unexpected exit from the inner city freeway. I followed it through, because I was tired of arguments with my spouse. GPS sent us to Crown Casino at six in the morning. How this was connected to Melbourne International Airport, I’ll never know. I suggested entering Hertz Airport Rent A Car, and everything got back on track. Australia was a mixture of the familiar, and the unfamiliar. McDonalds restaurants were everywhere. Not a surprise, they had them when I was previously in Germany. Burger King restaurants, were called Hungry Jacks. There were no Wal-Marts. Although, there were K-Marts and Target stores. No Dollar Stores, no Poundland stores–like in the UK. There were “Rejects” stores. Which may have been off-price merchandise stores? I liked no-tipping in restaurants. Tips and all taxes were included in meal prices. You paid by table number, no waiting for restaurant checks. Weather nerds will appreciate that circulation around low pressure systems was clockwise. Circulation around high pressure systems was counter-clockwise. Water circulated clockwise down drains. I concluded, that If I lived in my daughter’s neighborhood, which was on a hillside, I would be much healthier. Going to and from the mailbox and trash bins, was quite a workout. 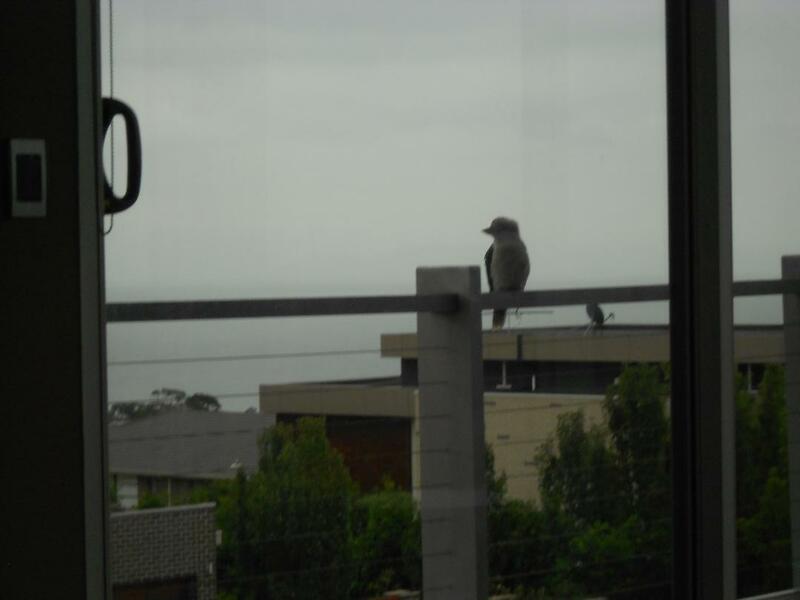 I’ll miss the unique local bird species–parakeets, cockatoos, and kookaburras, that hung around mornings and evenings. Speculation, is just what it is–speculation. Anyone can speculate at any time about anything. That’s why I take all predictions with a grain of salt. After seeing vacation pictures from Australia, last evening, where our daughters enjoyed barbecue from an eatery down under; I speculate that was the reason, we had BBQ takeout, from one of our local restaurants, tonight. Just saying. “Just saying.” That’s another overused expression, I could do without. It’s an unnecessary, pseudo-defensive, conversation filler. Planning for our upcoming trip to Australia is well underway. I’m like a kid in a candy store, where choosing itineraries are concerned. There are limitations, and I don’t wish to blow the budget. I want to see the coastline, the mountains, local favorite hangouts, absorb some area history, view flora and fauna. Most important, is to see our daughter, in her new place of residence. I was gone two-weeks over the Holidays. Longer, than intended to be. My brother-in-law’s memorial service, was dignified and simple. Just a small group of relatives, friends, and acquaintances attended. Anyone that wished to speak, was welcomed. Mostly, there were quiet conversations scattered about the reception area. Without being morose, that’s the way I’d like to be remembered. Greeted with warm, moist weather upon my return. That was, after eleven hours of travel in consistent rain and wind. For myself, I’m wishing for a year without as many extreme emotional ups and downs. Wishing everyone a happy and prosperous New Year! What was with red cars? My wife’s birthday and pool party are just a pleasant memory. The long road trip back home looms ahead. Much ground covered and friendships cemented. It will be good to be home after two-and-a-half weeks. I’m pictured hanging out with the guys in the shade–to the extreme left in the yellow shirt. Clear-channel 50,000 watts of all-night radio, broadcasted across the vast Midwestern prairie and beyond. John McCormick, “the man who walked and talked at midnight,” was there for our listening pleasure; with the best music and conversation to keep us company. McCormick had a deep-timbered voice, that either soothed, or lulled listeners to sleep. That was his job, I supposed. I would have preferred raspy-voiced Wolfman Jack. “We’re gonna’ play more music for you–all night long! Can you dig It?” Interspersed with a few Wolfman howls and I’d stay wide-awake. Dad wouldn’t dig any of it. My job was to assist with loading and deliveries. More importantly, to keep my father awake on his all-night delivery route through four Illinois counties. It seemed odd to me then, dad being such a firm disciplinarian, to see him kibitzing with guys at the full-service, Standard Oil station, on a busy corner in Springfield, Illinois. He was obviously a regular visitor. It was around eleven, the station brightly wrapped in neon–topped with trademarked red torch. An experience, not unlike seeing one of your teachers, away from school. Refueled, candy bars and coffees in hand, off to the second, and most important stop. The blue and white Chevrolet, faithful beast of burden, loaded past midnight; after the State-Journal Register’s press run. There’d been a delay–probably a late-breaking story that couldn’t be left out. Worried my father would fall asleep at the wheel, thus killing us both in a tragic accident, I kept talking. Awkward talking–so awkward, it was more like an interview than normal father-son conversation. “How many miles does this truck have on it?” I asked. “It’s got 127,000 miles right now,” Dad answered. “What were the worst weather conditions you’ve encountered?” I asked–not in exactly those words. Route 66, blue highways, towns that railroads, interstates forgot, passed by all night long. That night may have been the source of dad’s war story about a ride to Chicago, cruising at 80 mph on Rt. 66, in a Chrysler Airflow–after hitching a ride. That struck me as daring–even though it happened before I was born. Winter sun rose as we arrived home, just in time for a bite of breakfast, light conversation with mom, then straight to bed. It had been a good night, we’d arrived well before noon.